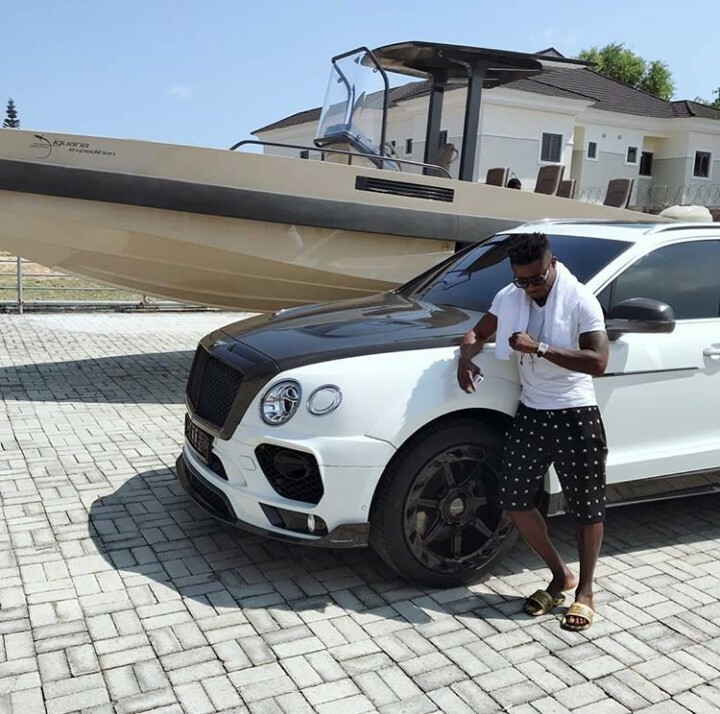 Obafemi Martins is a footballer with a great love for cars. His garage contains some of the Worlds most luxurious cars ever. He just shared this photo as he struck a pose with his 2017 Bentley Bantayga and $460,000-rated Iguana 31 Expedition yacht.